The northern most key of the Florida Keys, Key Largo is just a short drive from Miami. You can scuba dive wrecks like the 500+ ft. Spiegel Grove or snorkel ther famous Jesus statue. Many dive charters and stores are readily available to make your dive a pleasurable experience. 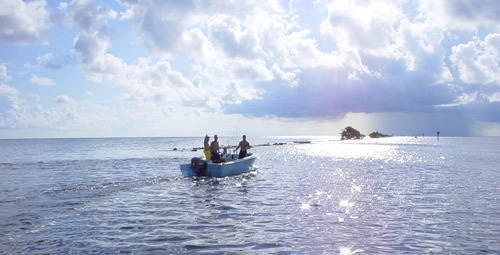 Key Largo is also home to the John Pennekamp State Park. A large, preserved, underwater reef garden. The state park offers snorkel tours right in the park.